Great news! Last Thursday Marc Dalton, MLA for Maple Ridge/Mission, announced provincial funding through the BikeBC program for two projects that will help make cycling safer in our communities. Both municipalities also contribute to the projects, with funding coming from Translink as well. In Maple Ridge a multi-use path will be built on the north side of Lougheed Highway between 216th and Laity St., to provide a much-needed safe cycling connection so that we won't need to make the detour around Ridge Meadows Hospital via River Road anymore. It is expected that this path will be ready by the summer! 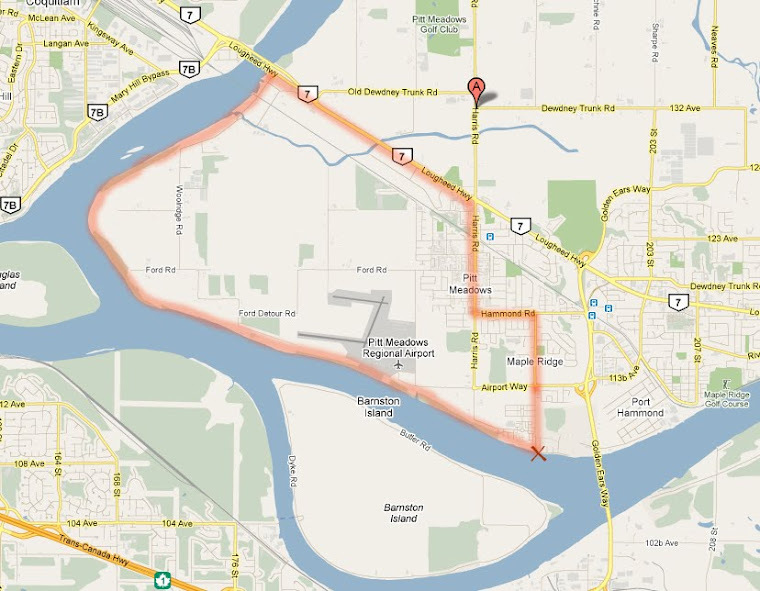 In Pitt Meadows there is funding for a new multi-use path between Lougheed Highway and Ferry Slip Road to provide a connection to the dike system, which means that pedestrians and cyclists don't need to share Kennedy Road with big trucks anymore. This path was pretty much complete already at the time of the announcement. We're very happy that funding has been made available by the province, both municipalities and Translink for these projects. It's another important step towards a safer and more convenient bike network. For more information about the projects, check out the press release. For additional information and maps check out Alex Pope's post. Alex also posted photos of the construction of the Kennedy Road path in Pitt Meadows. Thanks, Alex! Below some photos taken by Geoff Hancock (thank you Geoff!) at Local Ride bike shop, where the announcement was made. BAC Chair Alex Pope is all smiles, as is Casey Pope, I'm sure! Update: an Open House has been planned for Thursday, February 21, from 3 to 8 pm at Maple Ridge Municipal Hall. Click here for details.